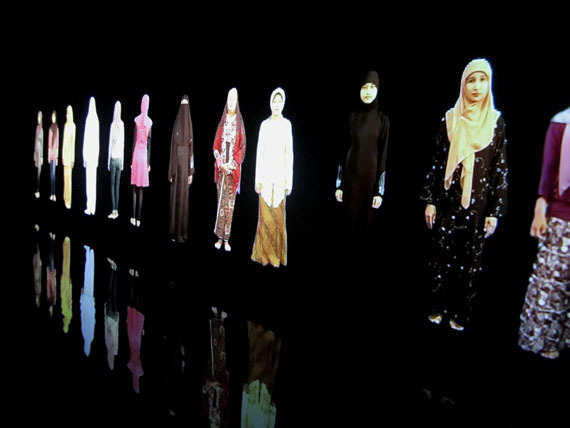 Krisna Murti (Indonesian, born 1957), installation of Video Hijab, 2012. Four-channel video with sound. Courtesy of the artist. "Indonesia / Video / Film"